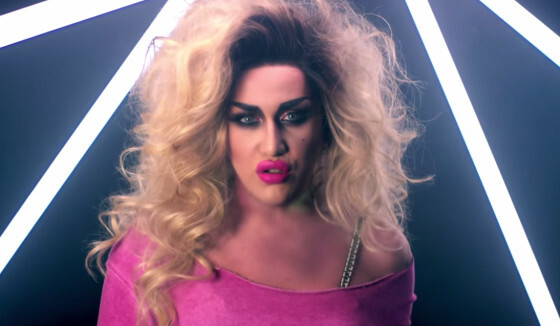 Adore Delano goes 80s glam in new vid for single Give Me Tonight, snatched in neon, big off-the-shoulder blouses, and even BIGGER hair! Some of you X Gens (and millennial retrovistas) might remember the original hi-energy version of this by Shannon back-in-the-day. 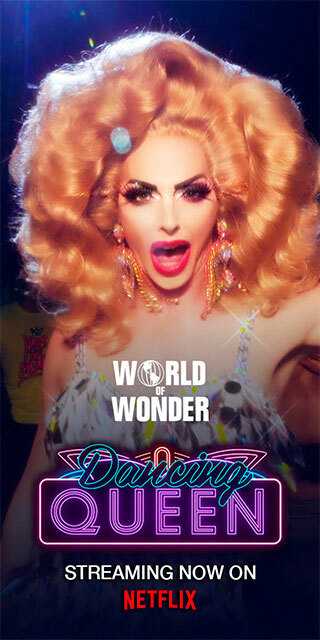 It was a HUGE club hit…pretty much played in every gay bar (still does in the Midwest…lol). Check out her twisted tale of jilted love below, featuring super hot RPDR Pit Crew boy Miles Davis Moody in boy AND girl drag! This is Adore’s eighth single from hit album Till Death Do Us Party, out now on iTunes.